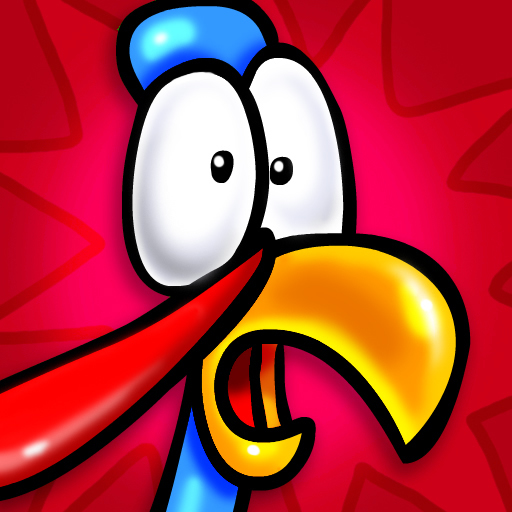 Turkey Blast: Reloaded Pro is action-packed customizable arcade shooting fun for everyone! Every game session awards you coins that can be used to unlock a heap of in-game prizes including: weapons, turkeys, background music, scenes, obstacles, and even silly cartoons. How do you like your turkey? Rare? Shish-kebab? Roasted? How about BBQ? With Turkey Blast: Reloaded Pro the choice is yours! Each of the 14 unlockable weapons delivers a unique (and bizarre!) way of dishing out punishment to those turkeys! Featuring Game Center achievements and leaderboards you'll be able to go head-to-head against your friends to see who is the Turkey Blast: Reloaded Pro champion! Still not convinced? Try the ad-supported version for free - just search for "Turkey Blast: Reloaded" in the App Store. Other Ezone.com games you may like: Diversion, Crazy Snowboard, Scarecrow and Galactic Gunner. Thanks for all your 5-star reviews, they really help inspire us to keep the free updates rolling!